← Creative business coaching & Creative designs with Customer Excellence! It’s almost too simple. Why do porcupines have spines? Why do tortoises have shells? Why do zebras have stripes? Just as animals rely on their protective exteriors to help preserve life, so too do plants have methods to safeguard their life-giving properties. And when we humans violate nature’s order, we too pay a price. Here’s a case in point: the current epidemic of gluten intolerance. What accounts for it? Why are so many people sensitive or allergic to flour? Didn’t our ancestors eat grains? Today, for many of us, it’s not the wheat itself that causes trouble. Rather, the process of grinding dormant wheat berries into flour has become bad for our health. Why is this happening? All dry grains, seeds, nuts, and legumes contain high amounts of phytic acid, an anti-nutrient that inhibits our absorption of iron, zinc, calcium, and magnesium. Ingesting too much of these plant toxins may cause cavities, osteoporosis, anemia, and other deficiencies. Though toxic to humans, phytic acid serves the plant well by keeping it in a dormant state until it’s ready to germinate. Releasing nature’s goodness: sprout! Nature has provided us with these three (3) healthful ways to neutralize phytic acid and unleash the nutrients our bodies need and crave: Soaking, Sprouting, and Fermenting. Our ancestors deeply understood this. All ancient cultures “cultured” their food, not only for taste, texture, and natural preservation but also to “pre-digest” it, in order to deliver optimal nourishment. Somewhere on the highway to modern times, this ancient wisdom got blown-out with the exhaust. In order to sprout, grains must first be soaked. 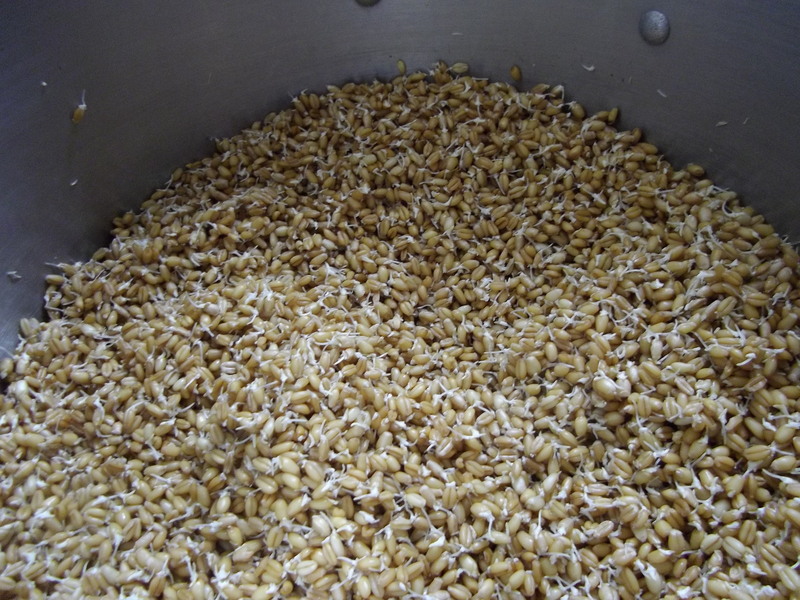 Soaking releases phytic acid, initiates fermentation, and triggers germination, whereby the grain, preparing to drop roots into soil, “sprouts a tail.” Fermentation, or letting your bread rise, would be the step after grinding your sprouts into a dough. This phase neutralizes whatever phytic acid is left over from the soaking and sprouting. Fermented foods are so necessary for the basis of a healthy colon and yet so sorely missing in modern man’s diet. 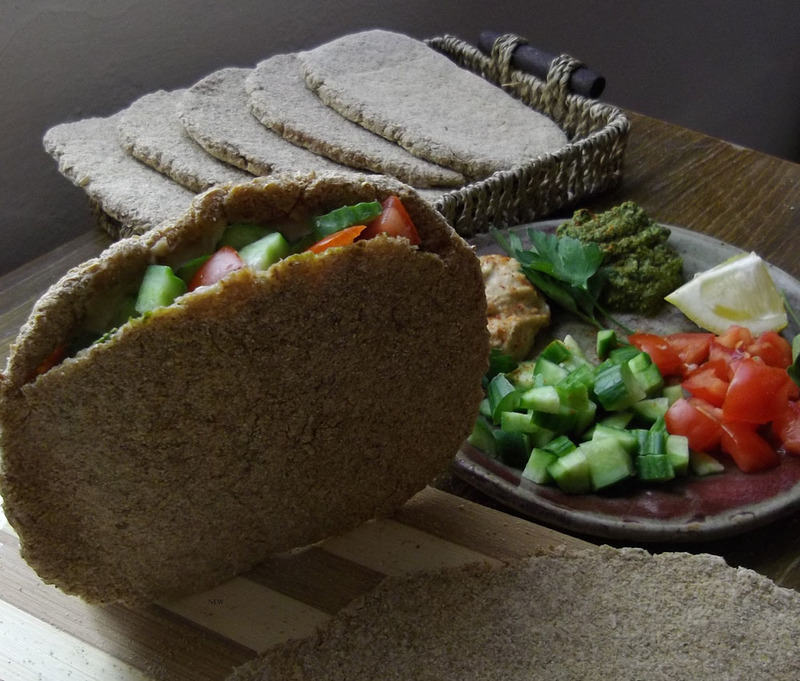 Kitchen Alchemy- Turning Little Grasses into Sweet Pitas! Sprouting transforms grain from an indigestible granule into a tiny living “vegetable,” decreasing carbohydrates while increasing proteins, amino acids, essential vitamins (including B vitamins) and other nutrients. Sprouting also breaks down gluten, and that is why most people who are gluten intolerant can eat and enjoy—and digest and tolerate—sprouted grains just fine! For adults and children with or without gluten problems, sprouted breads offer regal benefits. They are bursting with nutrition, cost effective, and are decadently delicious. 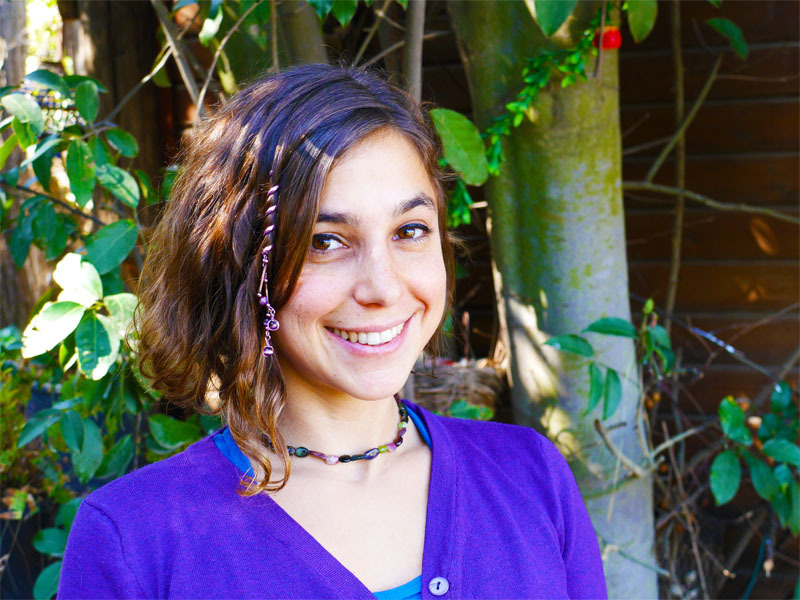 Samantha Siegel, founder of Rustic Regal Sprouted Bread Bakery in Jerusalem, is a baker and healthful-eating educator who teaches private and group workshops throughout Israel. She specializes in delicious, cost-effective cuisine – sprouted, gluten-free, raw or cooked — geared to promoting youthfulness, natural beauty, optimal weight and joyful living. You may visit her website at www.rusticregal.com. WellnessJerusalem members get 15% off on first introductory class on sprouting.